Memo that Google has sent to the largest manufacturers of mobile phones, in which they announce the adoption of a new policy regarding the use of the operating system Android has leaked to the internet. Apparently Google wants to limit the number of devices on the market that come with some of the old version of Android, so they decided to force manufacturers to release all the devices that are currently being developed with pre-installed with version 4.4 KitKat. The Company hereby obviously wants to put an end to excessive fragmentation of its OS, and it could also mean that manufacturers will have to adjust their cheap models to make them able to install the latest version of Android. The letter states that strictly from February 2014. Google will not approve GMS distribution of new Android devices that come with older versions of the OS . Older versions of Android will continue to be available for licensing only nine months after the launch of the new version, and after the expiry of the time limit Google will approve the distribution device based only on the latest platforms . 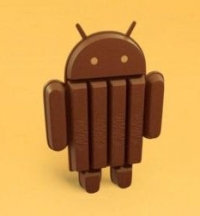 Android 4.4 KitKat is currently installed only on less than 2% of all active Android devices, and this will very likely quickly raise the level of presence of the latest Android OS.